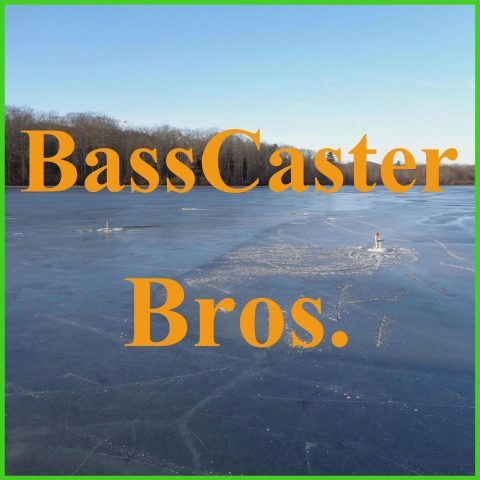 October 2015 – BassCaster Bros.
JJ and Josh finally went fishing for the first time this month. JJ caught 1 shiner and Josh caught 4 brook trout. But they were interrupted by a lose dog that was jumping on them and trampling their fishing gear so they had to leave. What longitude is Kentucky Lake in Kentucky? JJ answered 33˚ and got 1/2 point. It is always a good idea to check you regulations before every fishing outing. There is no trip report again this week, but JJ and Josh still have some great stuff to talk about. In summing up the the Elite Picks they share the total points they have for the year. Josh: 1402 points – Winner for the year! Catch and release is important because if enough people kept a bunch of fish then the fish population would decrease. What lure or lures do pickerel not like? This week JJ and Josh do not have a trip report to discus, but the Bassmaster Elite AOY Championship took place from Sep. 27 – 30th. Lots of rain hit the northeast this past week, that means the rivers are going to be high and it will affect the fishing. Which lake was the 2013 Bassmaster Classic held on? Answer: Grand Lake O’ the Cherokees – JJ answered correctly!